Cardiff City defender Sol Bamba has spoken out in admiration of Liverpool duo Virgil van Dijk and Andy Robertson. The Bluebirds don’t face the Reds again until April, but were on the wrong end of a comprehensive 4-1 defeat back in October, with two players in particular leaving an impression on the Ivorian centre-back. Speaking on Sky Sports News, as quoted by the Liverpool Echo, he said: “Virgil van Dijk, I just love him. These are big words from a rival player, even if they are at the other end of the table, and it juts shows how impressive Liverpool’s defence have been this season. 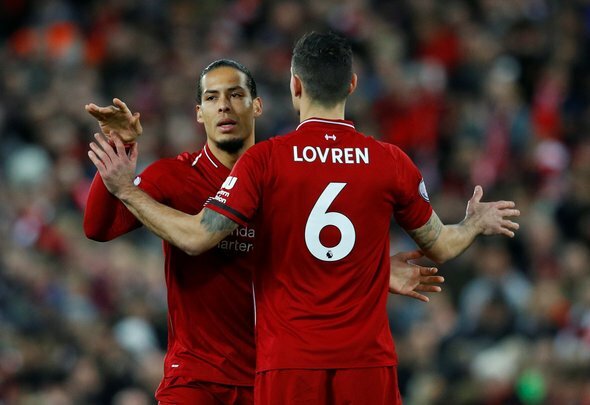 It’s hard to imagine that the Reds were plagued by a jittery backline as recently as last season, and there’s no denying the effect that van Dijk in particular has had on the team. It’s so easy to talk about impact signings when they are going up the other end and scoring 30 or 40 goals a season, but the way that the Dutchman has come in and marshalled the Reds’ defence into one of the most solid in Europe in little over a year is nothing short of remarkable. Obviously, he hasn’t been the only contributor to the transformation, but it is no coincidence that such a marked improvement has happened on his watch. With Trent Alexander-Arnold and Joe Gomez still to comeback and with huge futures ahead of them, things are looking bright for Jurgen Klopp’s defence.